Description: Spectrum Blogger Templates is a very cool design template having elegant rainbow style live colors. 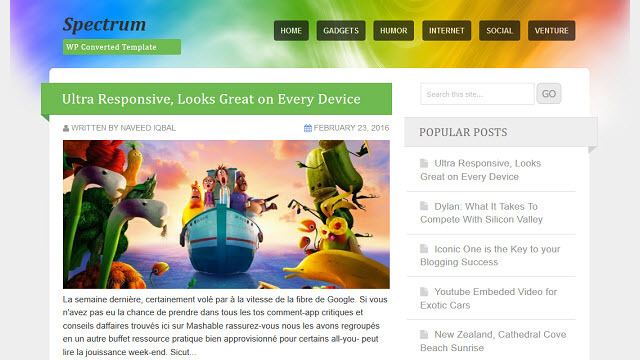 Spectrum theme was previously designed by WordPress for WP blogs. I personally liked the grace and color combination of this template. I am sure there must be many others searching to have Spectrum template blogger.